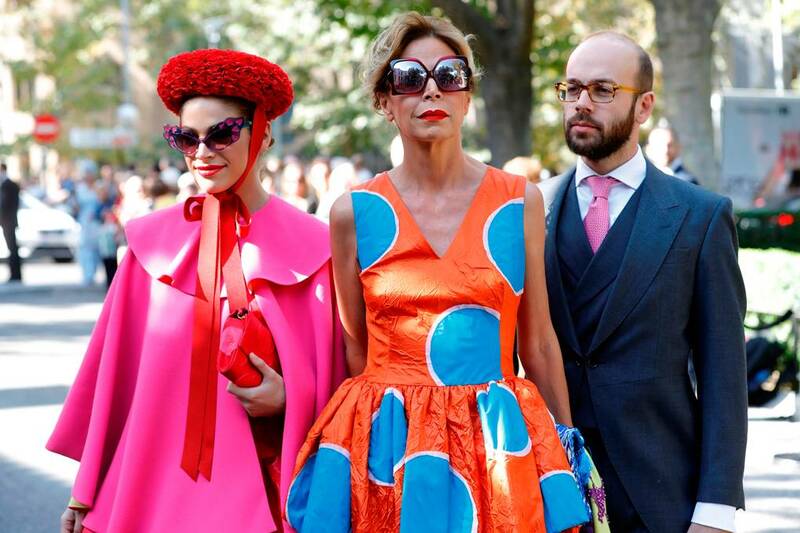 While we were waiting for Princess Eugenie and Jack Brooksbank to walk out of Windsor Castle, there was another royal (and stylish) European wedding that we missed. 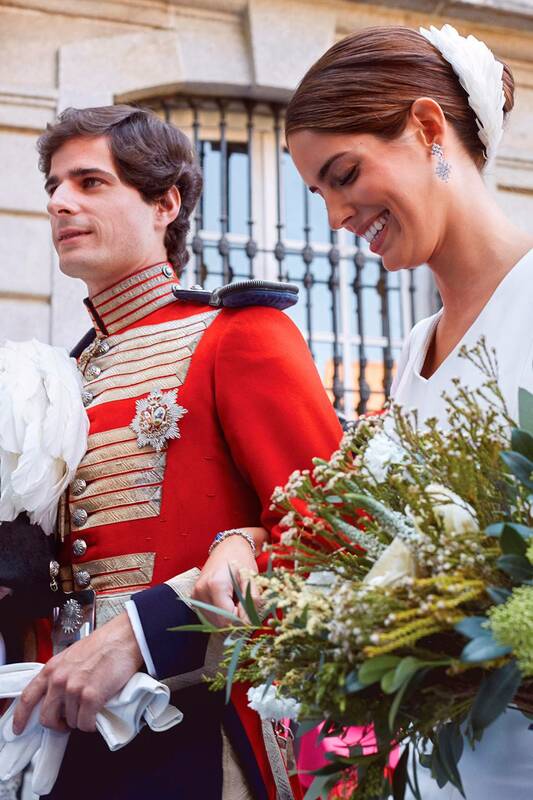 This weekend, the Duke of Huescar tied the knot with his longtime girlfriend, Sofia Palazuelo. 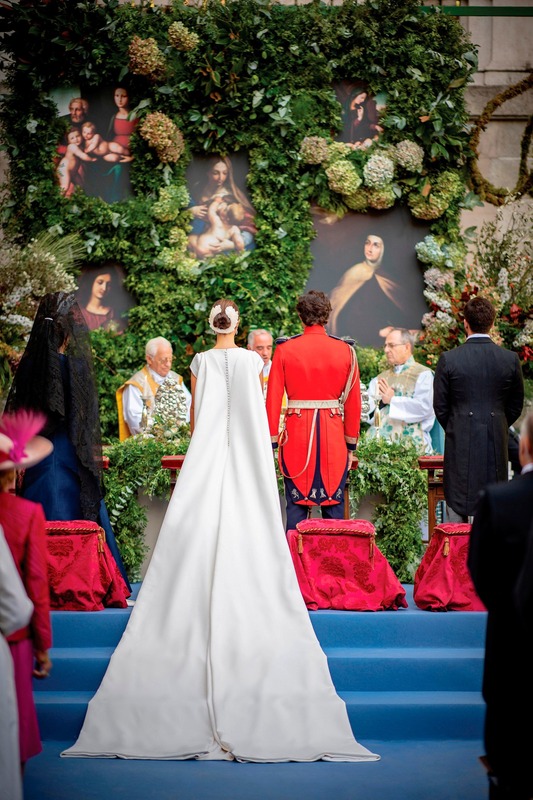 The wedding was a lavish affair with more than 750 guests including Queen Sofia of Spain. 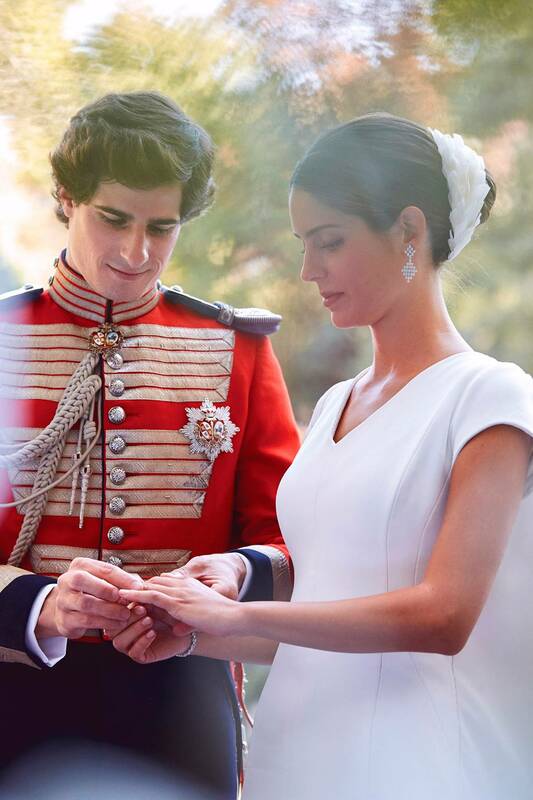 The wedding took place in the gardens of the groom’s 18th-century family estate, Liria Palace in Madrid. 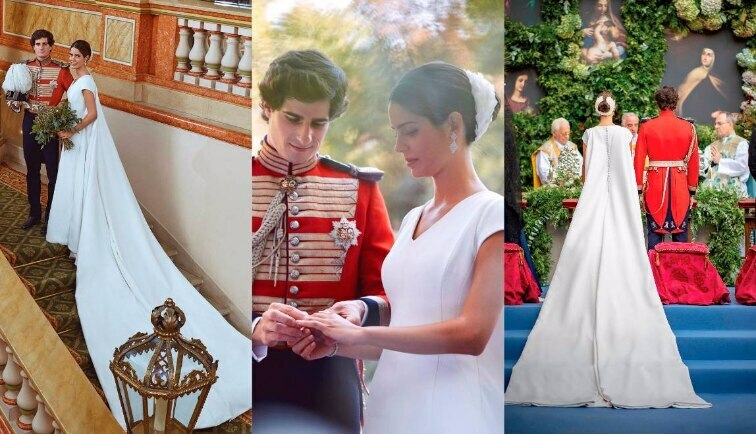 The grandeur and opulence of the wedding wasn’t a surprise to anyone, with the groom being the grandson of the late Duchess of Alba - María Del Rosario Cayetana Alfonsa Victoria Eugenia Francisca Fitz-James Stuart y de Silva who was known as Spain's richest woman. The bride, Sofia, looked mesmerisingly beautiful as she wore a capped, short sleeved, ivory gown designed by her aunt, Teresa Palazuelo. Palazuelo was accompanied by her brother Jamie as she walked down the aisle. 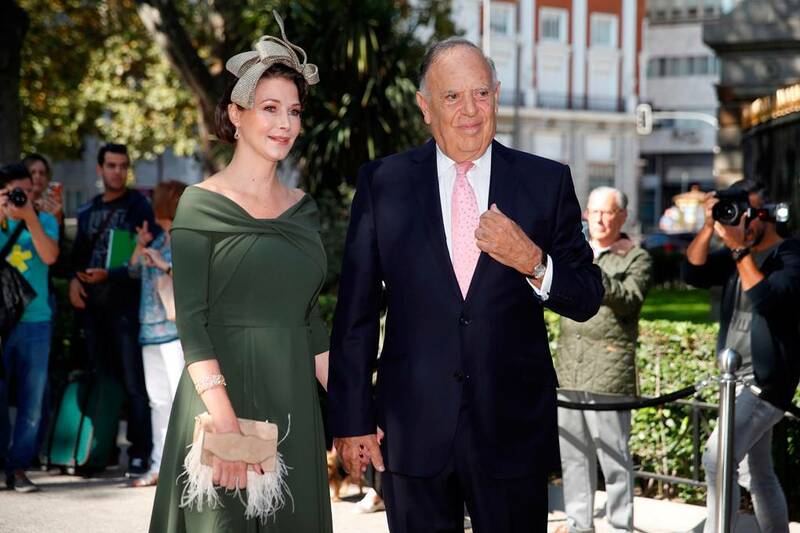 Earlier, Sofia was expected to wear the crown that belonged to Empress Eugenia de Montijo, but Sofia opted for an elegant feather headpiece which looked beautiful on her low bun. Sofia and her makeup artist Kley Kafe in an image shared by Kley on his Instagram. The bride walked down the aisle carrying an elegant bouquet of white roses, astilbe, scabiosa milki scoop, veronica smart luna monocaule and diosma all from the Meiland garden. Sofia, who has worked for both Oscar de la Renta and Carolina Herrera in New York, took the help of makeup artist Kley Kafe on her big day. 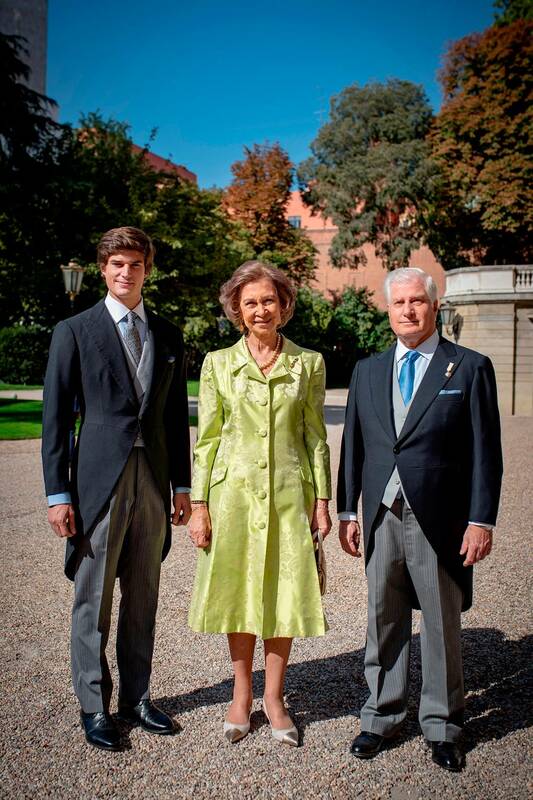 The groom, the eldest son of Carlos Fitz-James Stuart and Matilde de Solís and heir of the dukedom of Alba, chose to wear full military regalia representing the Royal Cavalry Armory of Seville on his big day. The Duke of Huescar and Sofia Palazuelo. The grand wedding was followed by an even grander aperitivo and a luncheon. The guests were served beer from the family’s own brewery – La Casa de Alba. After the royal couple’s first dance, (a waltz) the wedding guests took over the dance floor and the festivities surpassed the midnight curfew to go on till 2 am. The high-profile guests included Esther Dona and Marquis of Grinon, Brianda Fitz-James, The Duchess of Alburquerque and the Duke of Alburquerque, Cosima Ramirez, Agatha Ruiz de la Prada, Tristan Ramirez, and many more.